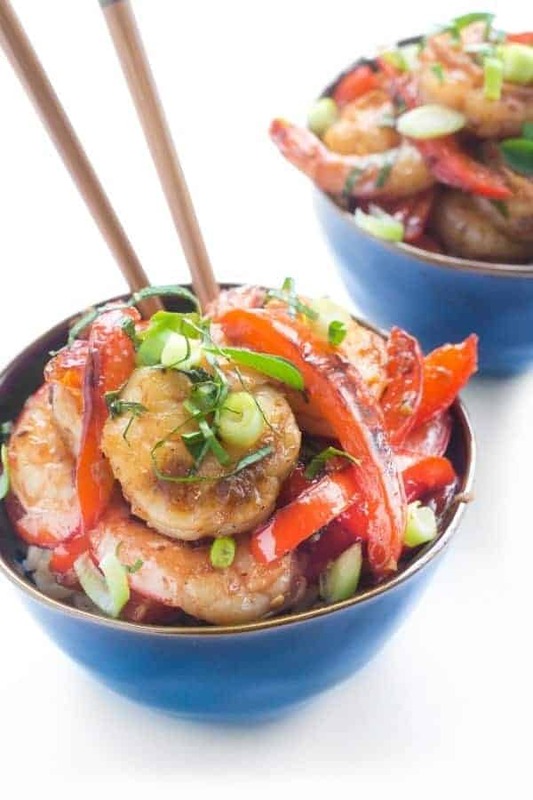 A healthy version of the takeout classic, my Kung Pao Shrimp is sweet, spicy and perfectly balanced. You can easily dial the heat up or down to suit your tastebuds! 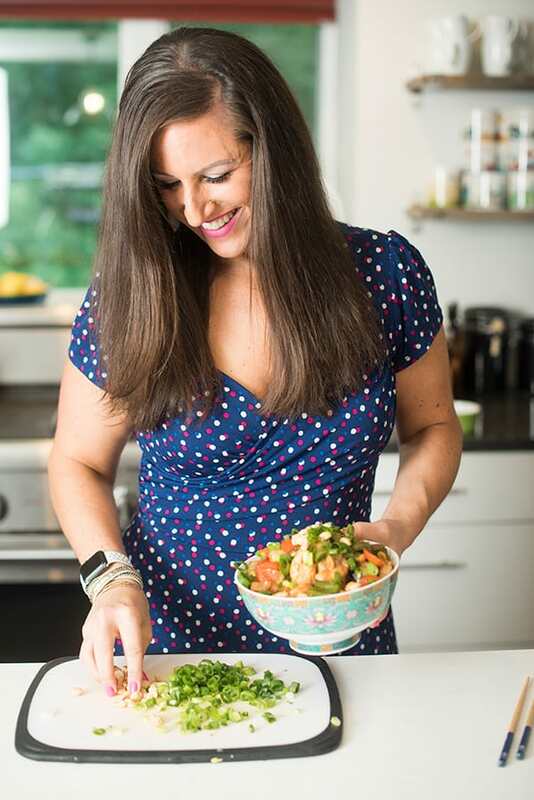 If you’re looking for a fast, fresh and easy 20 minute dinner recipe – look no further! 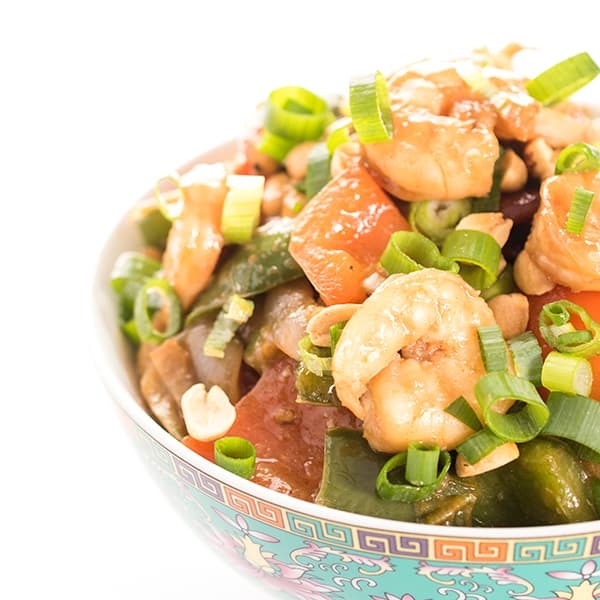 This Kung Pao Shrimp is the perfect balance of sweet, spicy, salty and tangy. 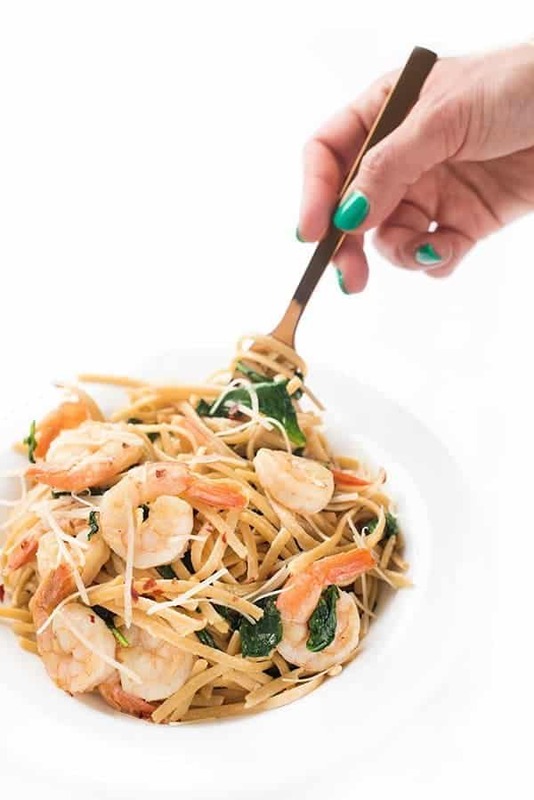 Like all stir-fry recipes, this Kung Pao Shrimp is the ultimate one-pan dinner filled with juicy shrimp and hearty veggies. To give it a spicy kick, I sauté the shrimp with minced, dried chilis which you can find online or at most Asian markets. If you want to keep it mild, simply omit them. 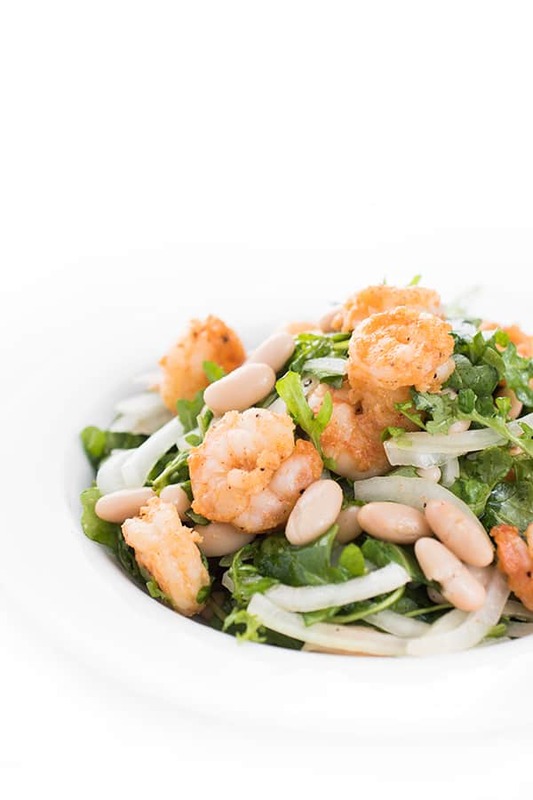 For extra crunch and flavor, I sprinkle the dish with minced roasted peanuts and chopped scallions right before serving. 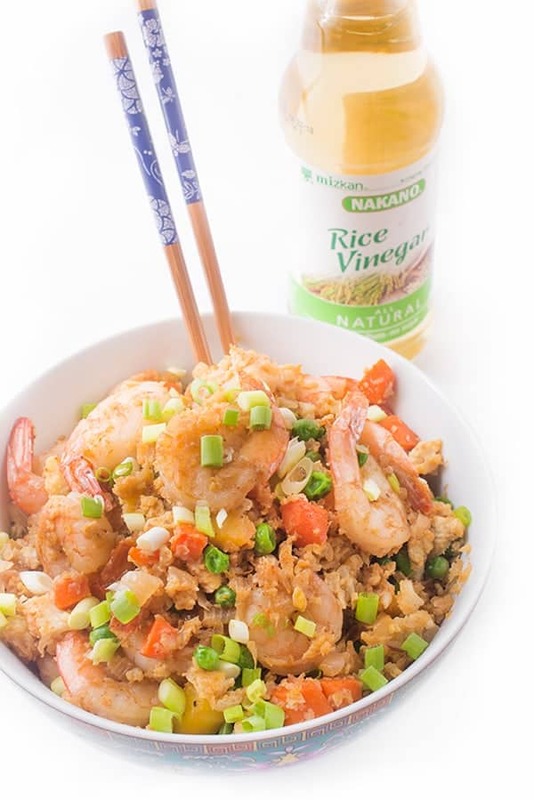 You can serve the Kung Pao Shrimp over brown rice or with a side of my Japanese Quick Pickled Cucumbers. Not a shrimp lover? No worries. This dish would be just as delicious with chicken, tofu or extra veggies. 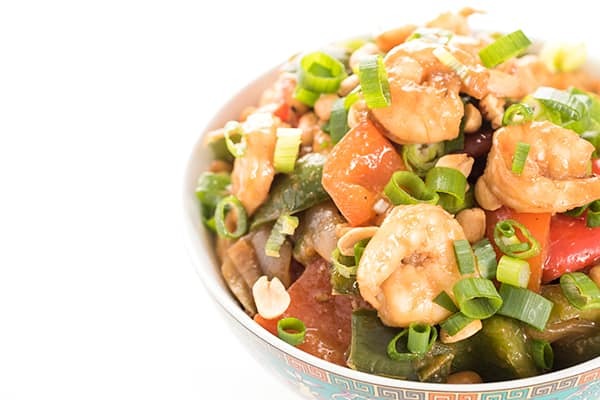 A healthy version of the Chinese takeout classic, my Kung Pao Shrimp is sweet, spicy and perfectly balanced. Ready in 20 minutes! Pat shrimp to dry with paper towel and sprinkle with salt and pepper to taste. Heat a large skillet or wok over high heat and add oil to pan. 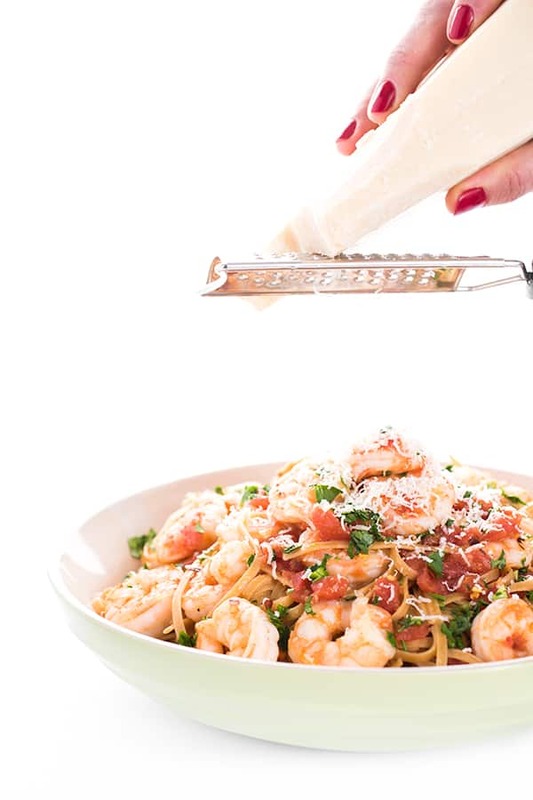 Add to shrimp to pan and saute for 1-2 minutes per side, or until pink. Remove from pan and set aside. To the hot skillet, add garlic, ginger and chilis. Heat for 30 seconds, stirring constantly, to release flavors. Stir in onions and bell peppers and sauté until they start to soften, about 3-4 minutes. 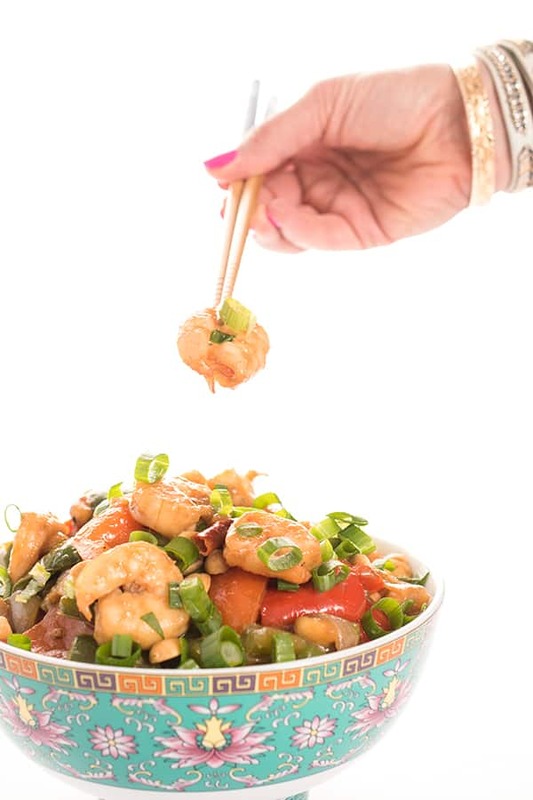 While veggies are cooking, whisk together Kung Pao Sauce in a medium bowl. Add shrimp to the hot skillet along with the Kung Pao Sauce. Bring to a boil then reduce to low. Simmer until sauce thickens, about 2-3 minutes. Garnish with peanuts and scallions to serve. 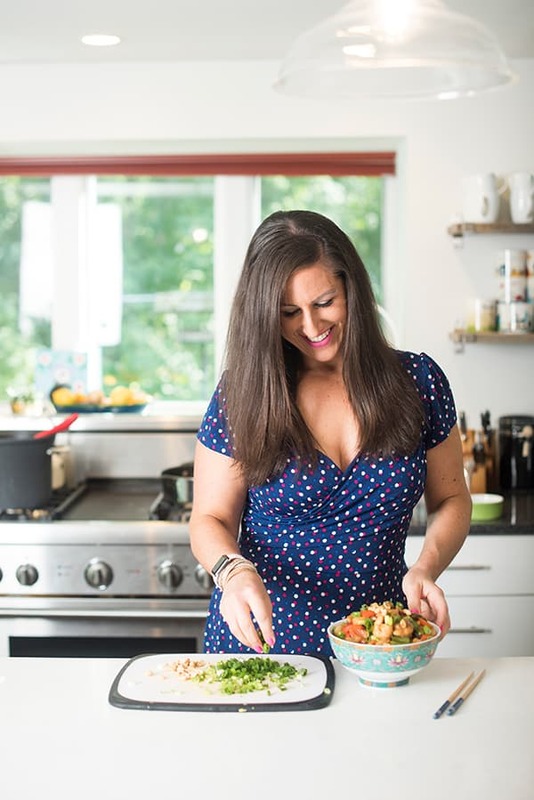 Want more Asian inspired recipes? Check out my Pinterest board! A new favorite for our weeknights!! Love how easy this is to make! This looks so yummy, got to try.